There are few examples of pure class in the health and beauty world that don’t come with a frankly disturbing price tag. Remington, however, have sent out a challenge to the electric shaver world with the Remington XR1370 Hyper Series which we review here – what we need to ask, therefore, is – is it up to scratch? You will notice from many real customers’ reviews (click here) that users are happy with the overall experience with the Remington XR1370. Not only does it look good – Remington pride themselves on aesthetic and sleek designs – but standards, material quality, performance and ability are high. Before we dive into a detailed Remington XR1370 review, however let’s check out the summary box. Finally, the Remington XR1370 has the ultimate answer to facial contours: meet Active Contour XL. Compared to all previous Remington models, the XR1370 offers 50% more contour adaption, promising a closer, faster and easier shave than ever before. HyperFlex is another one of the fantastic design masterpieces worked into the Remington XR1370. The neck of the shaver is, in fact, flexible enough to be able to rotate 360º. This, of course, means that there are no more contortion acts on our part as we try to force the shaver from face to neck. 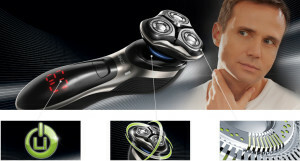 No issues whatsoever are presented – the shaver does the hard work. 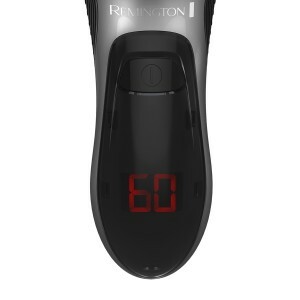 The Quick Charge feature of this shaver really will have you questioning why all electrical appliances don’t take a leaf out of Remington’s book. How many times have you been mid-shave when the little red light flashes next to the battery sign, and a moment later the shaver dies? No longer is this an issue – you simply put the shaver into its cradle, and by the time you’ve made yourself a coffee or ironed a shirt, the shaver will be ready and waiting. This innovation from Remington, shared with its younger brother, the Remington MS2-390, is possibly the handiest feature we’ve reviewed yet. The Remington XR1370 is completely designed with the end user in mind. From the features above that adapt the shaving experience entirely to the handle of the shaver itself. The handle incorporates a stylish, über-modern backlit LED display that counts down to the next required charge, so you won’t be caught off guard when the battery runs low. The handle itself is made of a non-slip material, combining functionality with sleek design. The shaver also incorporates WetTech, which means a ‘dry shave’ – without shaving foam or gel – can be done with water, and even in the shower. This feature can come in very helpful, of course – especially when travelling, which seems to be a concurrent theme with this shaver. Another ‘travel-friendly’ feature of the Remington XR1370 is the travel lock. Like so many of the features, it seems as though this should be standard across all shavers – it’s robust enough a lock to prevent the shaver from accidentally activating in your bag, but not so fiddly to make routine operation a chore. The Remington XR1370 Review – bottom line. The Remington XR1370 is, without doubt, a fine thing. It doesn’t promise to deliver the most luxurious or unbeatable shaves, but it does bring an air of class to the everyday shave. At the lower end of the market, price-wise, it certainly delivers well. If you’re looking for a good, solidly performing shaver that outweighs its low price tag, you’ve found the right one here. 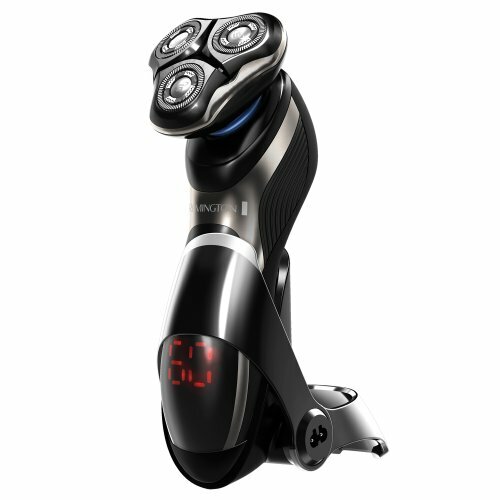 Similarly, if what you’re after is to have a shave as close and quick in a hotel room as you do at home, the Remington XR1370 more than measures up. 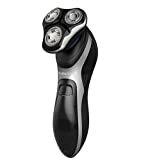 However, for a shaver that ticks more boxes, we suggest you look a little further afield to the Braun Series 7 790cc. You can check out our full review here.